With SharePPoint 2016 some new Powershell Cmdlets have arrived. 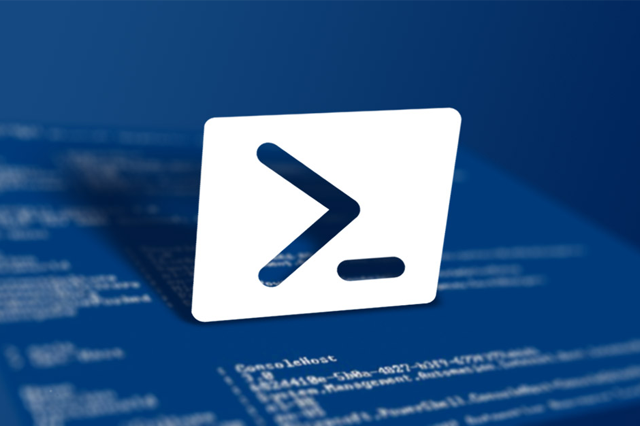 I would like to share some of the new powershell cmdlets for SP2016 with a brief overview of each. Some cmdlets I will describe in this post and some cmdlets in next post. SharePoint 2016 has introduced a new functionality for Site Template deployment called “Site Masters”. These are master Site Templates, configured by a SharePoint Administrator, that allow quick deployment of a Site Template when a new SharePoint Site is requested. Creating new site master can be done through power shell cmdlet very easily. Also, some cmdlets are added for controlling the services to make the administrator's job easy. This cmdlet adds one or more databases from a SharePoint farm into an availability group in SQL Server. This cmdlet copies credentials of an application from one logical server to another. This cmdlet copies side by side files. Now in SP2016, zero down tie in-place upgrade is available. If you PSConfig.exe file during an upgrade and copy SideBySide files fail, you can use the Copy-SPSideBySideFiles cmdlet to copy side by side files. If you use Windows PowerShell scripts instead of PSConfig.exe to perform an upgrade, please run the Copy-SPSideBySideFiles cmdlet to copy side by side files. This cmdlet disables the site master in the farm. It will disable a site master in the farm. Note: Running Enable-SPWebTemplateForSiteMaster cmdlet will undo the above aperformed action. This cmdlet creates a template for a site master. It will create a site master in the database. Note: Running Disable-SPWebTemplateForSiteMaster cmdlet will undo the above aperformed action. This cmdlet exports the Access Database into a Bacpac package. A Bacpac file is created by SQL Server during an export operation of a database. It contains all the information needed for moving/ importing the database to a new SQL Server. This cmdlet exports the SharePoint Newsfeed tags and notes. It exports the SharePoint Newsfeed tags and notes from the SharePoint database to a .zip file. The tags and notes are written into separate files, and then the two are compressed and added to the .zip file you specify. This cmdlet returns one or more objects representing the availability groups. This cmdlet returns properties of a SharePoint Store app. It returns property settings (On-premises or Online) for SharePoint Store apps. This cmdlet returns the health of the service application proxy. It checks whether the proxy to a service application is in good health. This cmdlet returns the uploader.xml and Microsoft.Office.BigData.DataLoader.exe.config files from the Configuration database. This cmdlet returns the feed cache settings for the current user profile application. ProfileServiceApplicationProxy is a required parameter that specifies the unique identifier for the proxy. This cmdlet gets a service in the farm by supplying the name of the service. This cmdlet returns site master information of a content db that is supplied. Add -ContentDatabase WSS_Content to the cmdlet and the site master is returned. ContentDatabase is a required parameter which specifies the name of the database to get the list of site master information. That's all for this post, stay tuned for the remaining cmdlets which I will pen it down in my next blog post. Till then Happy Learning Powershell...!! !